With a career spanning over two and a half decades, Basco is a Hollywood actor who has become a cult classic and pioneering figure in Asian-American cinema. 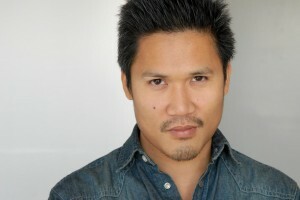 He was introduced in Steven Spielberg’s fairy-tale movie Hook as Rufio, the leader of the Lost Boys. He quickly jumped to leading roles like Newline’s Take the Lead, opposite Antonio Banderas, and The Debut, which became the voice of a Filipino-American generation. 20th Century Fox executives were so mesmerized by the uniqueness of Dante’s look and ability that they gave him a development deal for his own series, and he starred in a pilot for Touchstone/ABC, The Chang Family Saves the World, written and produced by John Ridley and directed by Paris Barclay. Ever versatile, he plays Jake Long in Disney’s animated series, American Dragon: Jake Long, as well as Prince Zuko in Nickelodeon’s phenomenal hit, Avatar: The Last Airbender. Born and raised in San Francisco, the City by the Bay, Basco started out breakdancing with his three brothers at the age of 8, calling themselves The Street Freaks. Quickly, they became one of the top groups in San Francisco, opening for acts like Ice-T and Vanity and performing during half-time shows for the 49ers and the Oakland A’s. Basco and his family moved to Los Angeles in the mid-’80s, where he started to work immediately. By the age of 16, Dante was fencing against Dustin Hoffman and flying with Robin Williams in Hook. He found success on the small screen, as well, on The Fresh Prince of Bel-Air and recurring on Hangin’ with Mr. Cooper and Moesha in the ’90s, leading to prominent spots on Nash Bridges, Touched by an Angel, and Providence in the early 2000’s and hit shows today like CSI: Miami, Entourage and Hawaii Five-0. A young man of many talents, Basco is the founder of one of the largest weekly poetry venues in the country, Da Poetry Lounge in Los Angeles, and he has shared his spoken word poetry on Russell Simmons’ HBO Def Poetry Jam. He has also begun writing and producing his own features with his production company Kinetic Films, including Hang Loose, a buddy comedy with YouTube sensation KevJumba, winning the 2012 Los Angeles Asian Pacific Film Festival Special Jury Prizes for Best Actor and Best Newcomer, respectively. Airbender for some time. In addition to the anime style, the show borrows heavily from real Asian cultures, philosophies, and martial arts, so it’s a good fit for us,” said Jim Vowles, Director of Guests & Industry Relations.